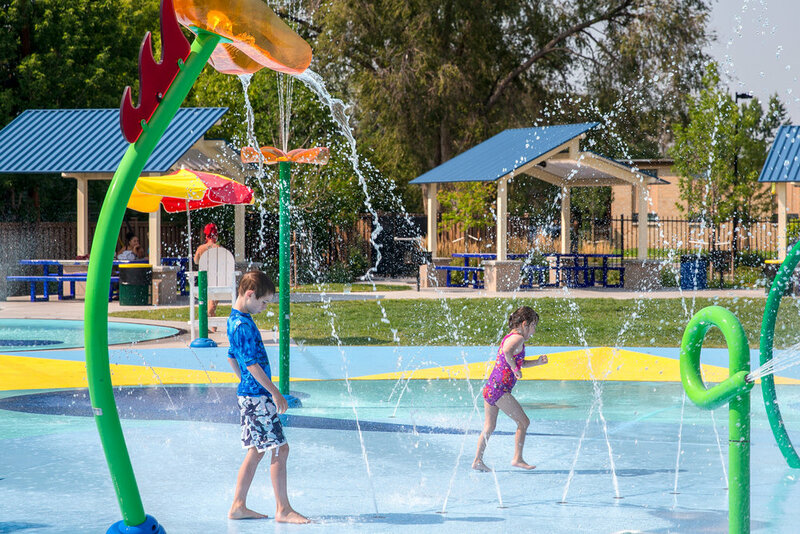 In Lakewood Colorado this fun water adventure splash spray ground park cools hot summer days and has reservable picnic shelters, changing and locker rooms, concession food, restrooms, minimal entry fee and lawn areas. The aging swimming facility of Surfside Pool had low usage and high maintenance costs. 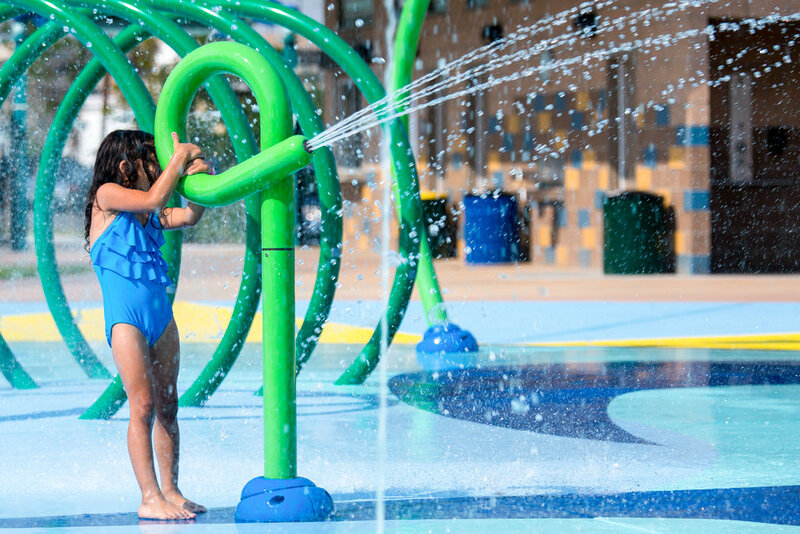 Our master redeveloppment plan provided an all-age splash pad for the surrounding residential area. 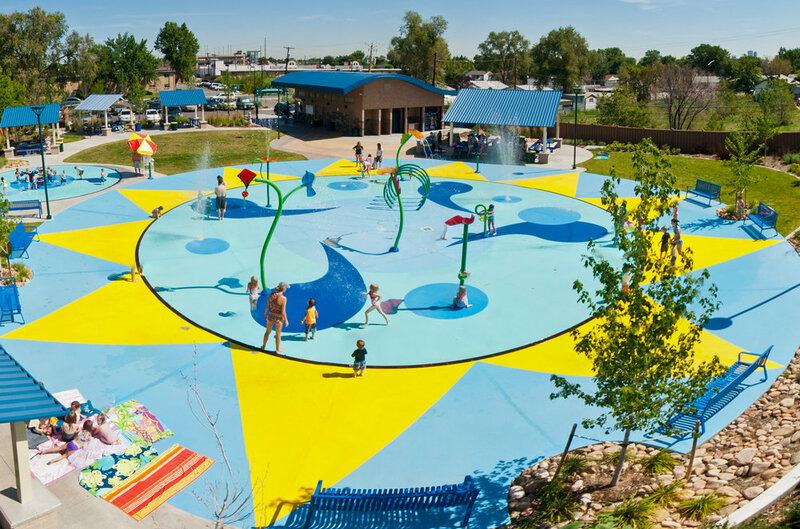 The splash park has an age-separated recirculating splash pad park with shelters, offices and restrooms, patterned paving, colorful surfacing, inviting gateway landscaping and improved parking .